This Skeleton Torso is not just a realistic and great looking skeleton to hang up and scare people. 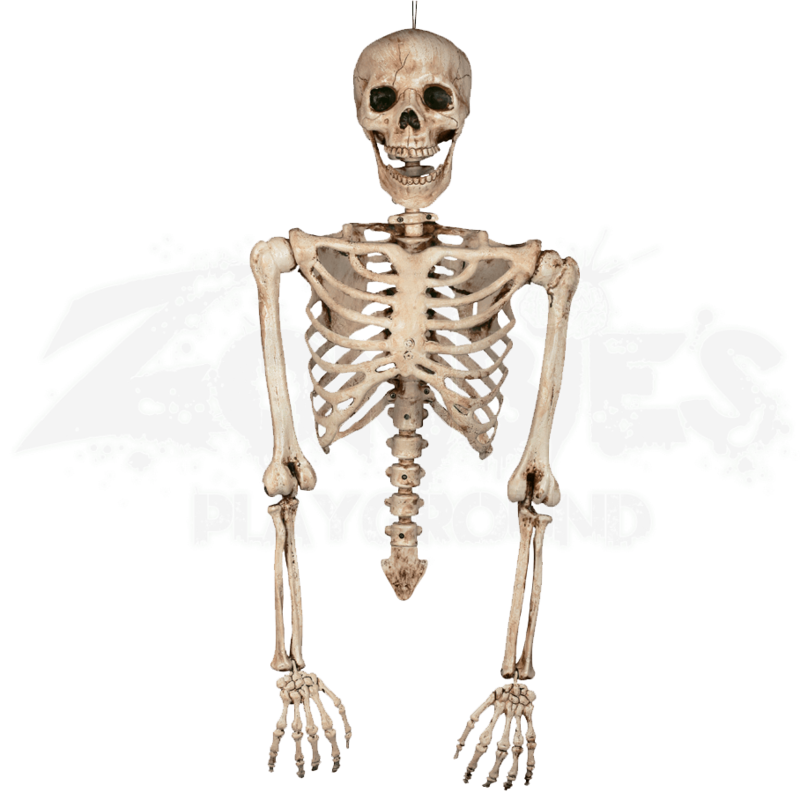 It also happens to be fully posable, which means that you can move, position, and customize this skeleton to create a variety of scary poses and looks. Lacking legs, this skeletal torso is designed to be hung up or laid down, although neither position interferes with its ability to be fully posed. Its moving, locking joints are what allows it to be positioned so freely and easily, and its appearance is what makes it so striking a decoration. It features a classic, worn white bone look with hints of brown tinge for a great looking weathered appearance, and its skull features numerous cracks across its surface. The skeleton is severed at the waist, where its spinal cord simply ends. It is made entirely from solid latex plastic, and it measures approximately 33.5 inches tall. 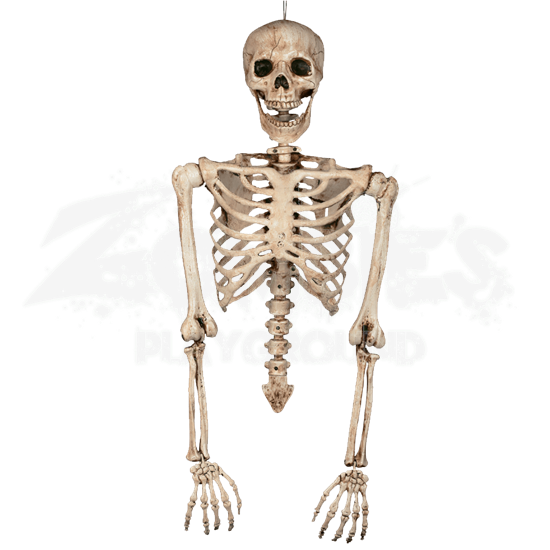 If space is a premium but detail is not, then the Skeleton Torso is just the Halloween decoration for you, as this posable skeleton has all the versatility needed to create dozens of impressive looks, without taking up a great deal of space.